Nisbets Catering Equipment Blog - Industry news, trends, recipes and more! : Can You Get Locked In A Walk In Cold Room? Can You Get Locked In A Walk In Cold Room? Have you heard about the butcher who got trapped in a cold room? How did it happen? Could it happen to you? Let's find out. If you haven't already heard the story, an unlucky Devon butcher found himself stuck in his walk-in freezer as the door slammed shut in the wind. He tried the door release button but it was frozen shut. No amount of kicking could release the door, so he used a frozen black pudding as a battering ram to make his escape. It's certainly an inventive solution, but could this happen to anyone else? 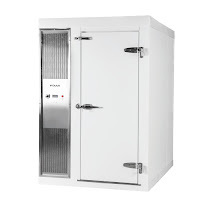 Although it's unclear as to which cold room the butcher had, modern walk-in fridges and freezers are designed specifically to always allow escape in an emergency. As such, it's hard to say for sure how the incident occured. The most likely answer is that the butcher had some really bad timing. Anyone who has a cold room knows that they can generate a lot of moisture. As you open the door, humidity from outside is drawn in, quickly forming water against the door frame and seals. The water on the frame probably froze quite quickly, and as the door slammed shut, the butcher had a very small window of opportunity to push the release button before it was frozen solid. The thing is all modern cold rooms have a trace heater. This is a wire which heats the perimeter of the door specifically to prevent the room from freezing shut - many standard upright fridges have the same functionality. So, perhaps the butcher's cold room trace heater had failed, or maybe the room was not fitted with one in the first place. Can You Get Stuck In a Cold Room? Yes, but it's really, really unlikely. If it can happen to the butcher it, in theory, could happen to anyone. As with any piece of commercial refrigeration, regular maintenance is key. Check to see if the trace heater is working. 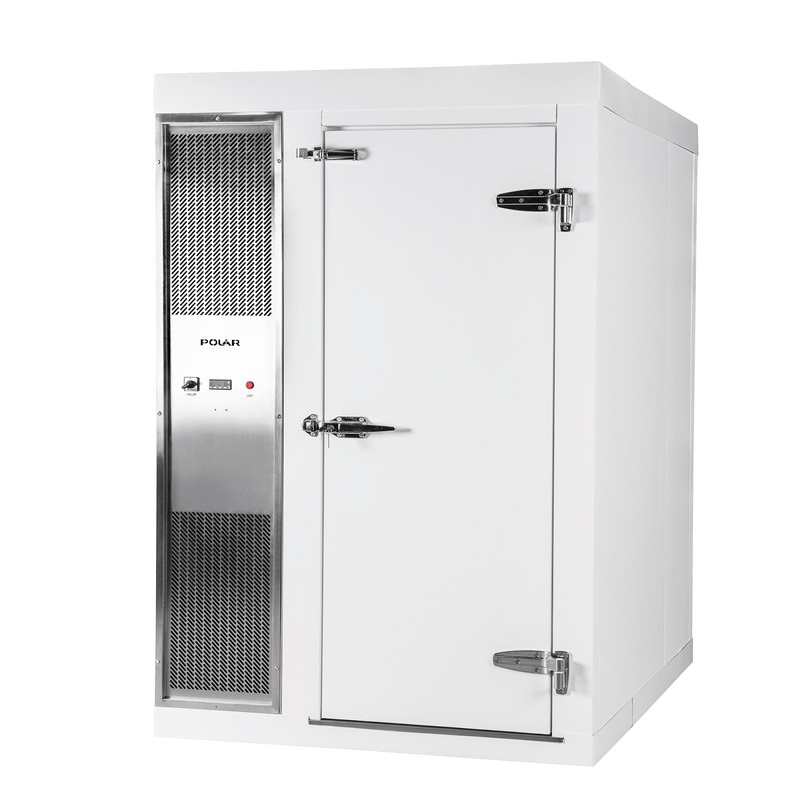 Is the cold room difficult to open in sub-zero temperatures? Check the door mechanism before allowing the door to close - if it's unusually stiff or loose, arrange for a repair as soon as possible. Keep any potential exterior obstructions well clear of the door. If it's unusually wet inside the room ice can form quickly. A service may be required. Let others know when you're going into a cold room. Always keep a large black pudding handy. 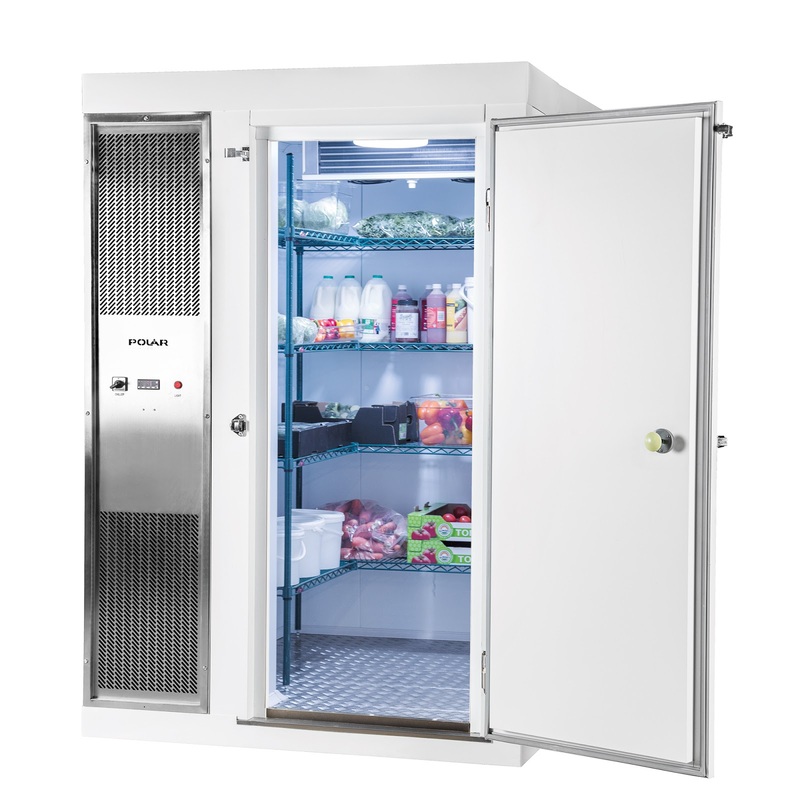 All walk-in fridges and walk-in freezers available from Nisbets either fully comply with or exceed the latest safety legislation. For more information, see the Cold Room Buying Guide.